After last year’s incredible success, Bruno Sroka presents a completely renewed Sroka Titanium Freeride Hydrofoil for kitesurfing. The best hydrofoil on the market for the beginners and those who is looking for an easy to learn and ride hydrofoil. Not everyone is looking for a competition or high speed hydrofoil rig. There are many of us that simply are looking to discover this new and beautiful activity of Kite foiling. If you will choose a hydrofoil that is dedicated to competition and very high speeds you might be easily frustrated. This is why Sroka was the first brand that thought of developing and producing the hydrofoil for every rider. This year the Sroka Freeride hydrofoil consists of the highest quality titanium fuselage, carbon front and back wings and aluminum mast as well as fiberglass French produced kite foiling board. This hydrofoil combo will assure the rigidity of your equipment. Sroka once again proved that research and development is very important and so this year they worked on simplifying and making it easier to assemble the hydrofoil mounting system. This means you can transport you foil easier and got on the water faster! 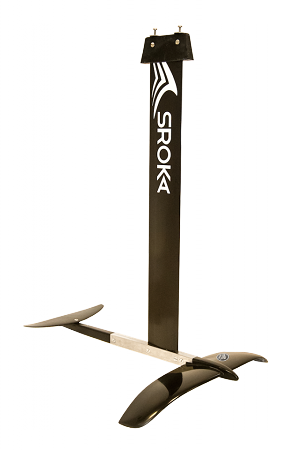 Sroka hydrofoil is very well known for being one of the strongest and easiest set ups on the market. 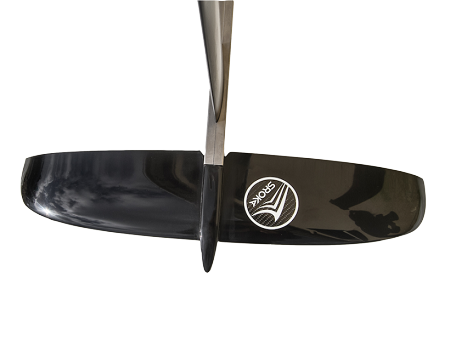 The new 2016 Sroka hydrofoil board model features a new graphics design, and is also lighter and more rigid. Bruno SROKA used his board development knowledge gained through years innovating kiteracing boards together with his dear friend Paolo Rista. Now Bruno is on his own and he presents his SROKA kitefoil board that is approved by beginners, advanced as well as pro riders as the most comfortable and easy of use board to ride. 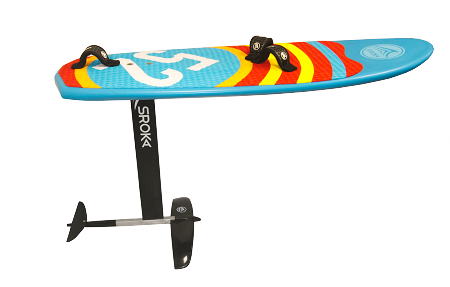 The SROKA kitefoil board is a larger volume board featuring a double concave in the back and specially shaped rails assuring better board glide. The front board concave will help you to decrease the likeliness the board will touch and crash into the water. This board has been engineered and developed so you could learn and progress easier. 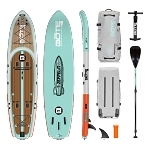 The SROKA hydrofoil board is equipped with Pro Box fin box (conic from 4 sides) which makes it very easy to place your hydrofoil into the board box. The Pro Box is also has been proven as one of the strongest fin boxes available. Introducing an advanced and more researched hydrofoil made out of the highest quality materials. This year the Sroka hydrofoil comes equipped with carbon front/rear wings and a titanium fuselage. This year the Sroka foil has a renewed fixation system, decreasing the number of screws of the fuselage. They decreased from 9 to only 4 screws for all fuselage/wings/mast assemblies. Now you will have only one screw for the front wing, one for the rear wing and two screws for the mast. They have increased the rigidity of the hydrofoils fuselage by switching from aluminum to titanium. This also means no corrosion when riding in salty water. Sroka V2 kitefoil is more rigid and has less drag meaning you get an even better performing setup this year. This version remains easy to learn version but feature enhanced features to make it an even better value. As you progress you can upgrade only your hydrofoil mast giving you an even higher performance hydrofoil. You will be able also increase your performance by changing your front wing from freeride to a higher performance wing shape. In 2016 the Sroka hydrofoil remains one of the best and most accessible hydrofoils on the market for the the best value.